If you are looking to grow your online sales, keep your customers coming back to you again and again or bring new visitors to your website, Google AdWords can be the most helpful option for you. AdWords is one of the most developed, effective and complicated advertisement platform managed by experienced professional. It is a Google’s advertising platform where your advertisement campaign will be created and managed at different levels like Google search. 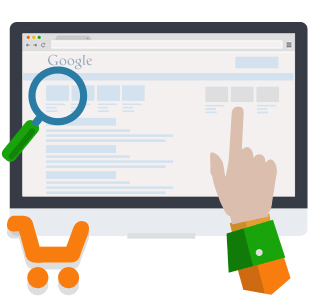 Product Listing Ads are PPC ads which e-commerce businesses purchase through AdWords to instantly place their products on Google search engine. These ads appear on the top of the page on the left side on the Google search page. Adio surpasses in setting up PLA Ads that will promote your business and drive sales. When advertising comes into an entrepreneur’s mind, they immediately think of Google but search engines like Bing should not be overlooked. 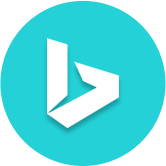 Bing Ads are Pay-Per-Click advertising on Yahoo! Search engines and Bing. 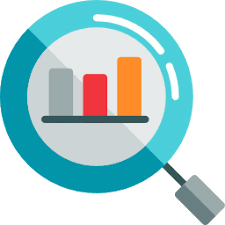 The search market has extended over the last three years, with over 30 percent of search engine market and 5 million searches every month going through Bing.com, there’s a large perspective of you reaching your target audience through Bing Ads. Pay-Per-Click is a way of buying traffic rather than earning it. It works like a search auction. Advertiser bids on the keywords and phrases that they think their target audience would put in the search field when they are looking for any goods and services. It is crucial to choose a Best PPC Company if you want to get the maximum Return on Investment (ROI). PPC requires a lot of research and analysis. Adio Brand Solutions is a leading PPC service provider in Delhi NCR. We provide a complete PPC program development as well as ongoing optimization and management services because placing an ad and paying no heed to it is really not our strategy. It is the most powerful form of advertising. Adio Brand Solutions allows you to target keywords that are relevant to your businesses and lets you gain more eminent position. 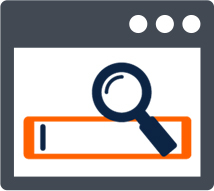 We also focus on biding, ads and keywords to drive maximum benefit from search advertising. 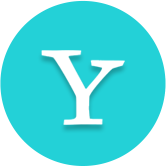 And offer you reduced cost per customer acquisition (CPA) and increased revenue. 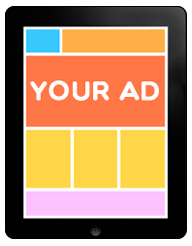 Display Advertising lets the advertisers target the audience through visuals rather than text-based ads Adio is the most profitable partner for your business if you want to digitally display your ads. From creating ads to targeting optimization and analytic assessment, leave it all on us. 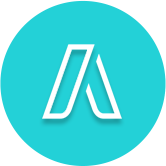 Adio Brand Solutions is a pioneer in Product Listing Ads, also known as Google Shopping Ads. Our team makes perfect PLA Ads for your company to work with present-day campaigns and desires. We also focus on driving more target and sales to your website. We also create PLA Ads for mobiles that appear first in search results and improve your visibility on the desktop as well. We also give tips on how you should create your product ads that sell well in the market. Email marketing is the most rapid and profitable way of reaching out to the customers. Our Email Marketing services create more targeted and personalized messages for your customers which raise the response rate to your campaigns. We, without getting irritating, strategize in a way that gets enormous publicity to through your email campaign. Our highly trained and experienced professionals are geared towards generating good-quality, solid leads. They focus to get those customers who fill the contact details out of their own will. We, at Lead-based marketing services, take a meticulous and focused approach to obtain more leads that will in return become a happy and contented customer for your company.